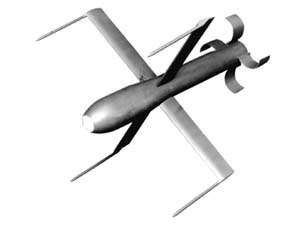 The ATACMS Block II/ Brilliant Anti-armor Technology (BAT) submunition is a precision engagement weapon that takes advantage of the US ability to develop a missile that integrates stand-off delivery accuracy with a submunition that has the required effectiveness to kill moving armor columns in the deep battle zone. This precision engagement capability will enable the joint US and combined allied forces to interdict enemy formations through synchronized operations from dispersed locations. This ability to engage deep targets will contribute to the joint effort that assures dominant maneuver. The Block II ATACMS missile is the delivery system chosen by the Army to replace the now defunct Tri-Service Stand-off Attack Missile as the deep attack carrier for the Brilliant Anti-Armor Technology Submunition (BAT). The BAT is a self-guided submunition that uses on-board sensors to seek, identify, employ a top attack engagement profile, and destroy moving tanks and other armored combat vehicles. 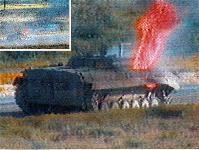 It uses an acoustic sensor to seek out its armor targets, and infra-red sensor to engage the vehicles. After dispense of the 13 submunitions from the ATACMS Block II missile, the weapons glide to their preprogrammed target area, and each selects a discrete target within its assigned acoustic segment of the formation. 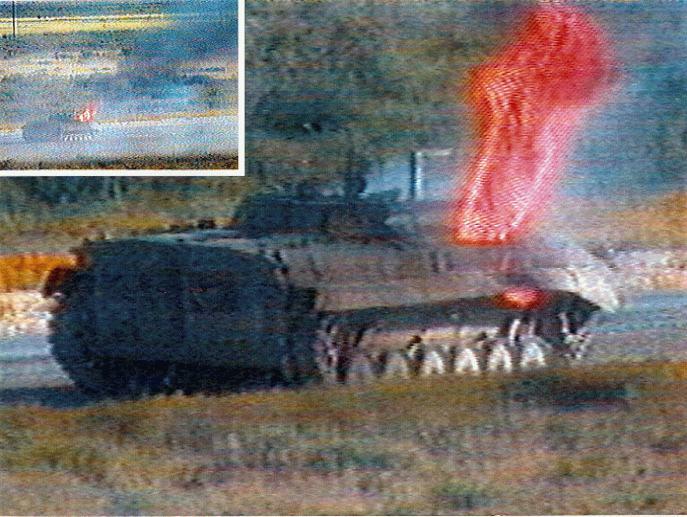 Once a target has been acquired by the terminal infra-red seeker, the weapon guides to terminal impact and uses a tandem shaped-charge warhead to destroy the vehicle. With a relatively large acoustic search/glide footprint, the BAT is capable of accommodating target location ambiguity inherent with the engagement of moving formations. Army TACMS Block IIA is an extended range variant of the Block II system. The Block IIA is a semi-ballistic missile used to deploy six P3I BAT Brilliant Anti-Armor submunitions at ranges beyond the Block II system. Block IIA is a near all-weather, day and night, precision strike system as ranges beyond the capability of existing cannons, rockets, and missiles. 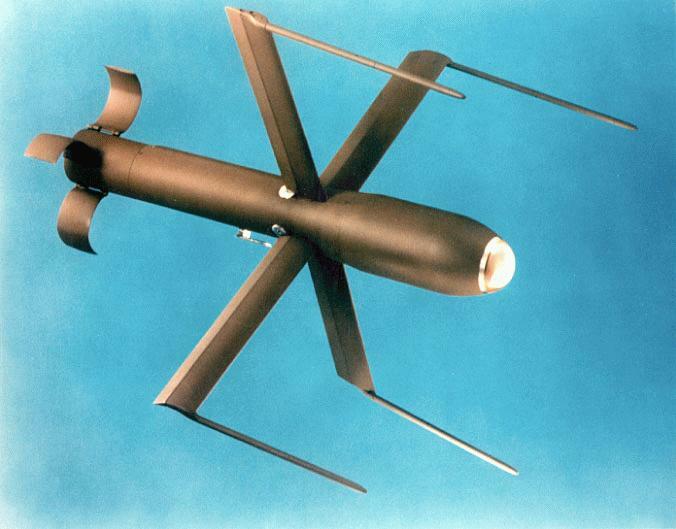 The P3I BAT is a pre-planned product improvement to the BAT submunition to provide enhanced acquisition capability and an improved warhead for use against an expanded target set to include moving or stationary hot or cold targets. The Block IIA program specifically consists of modifying the payload section of the Block IA missile to carry and dispense a payload of six P3I BAT submunitions at Block IA ranges. The Block IIA is a modified version of the Block II missile and will use common components of the Block I, IA and II systems. The Block IIA will use the Block IA Improved Missile Guidance System with Global Positioning System (GPS). The Block IIA integrates the P3I BAT submunition into the Army TACMS Block IA missile. Block IIA will use the Block II Sequencer Interface Unit and modifications to the Missile Test Device needed to accommodate the P3I BAT. 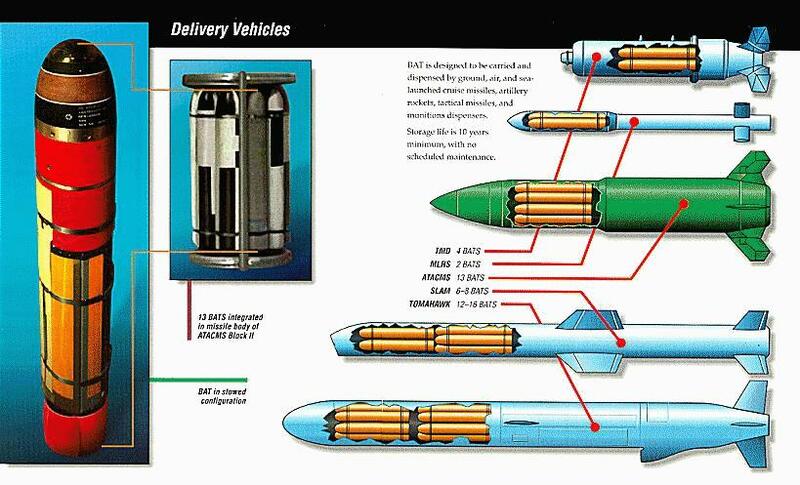 The Block II missile modification program entered EMD in May 1995. A BAT limited rate initial production (LRIP) decision is scheduled for 1QFY98, missile LRIP in 1QFY99. The system will accomplish the operational test and evaluation in two phases through FY99 and FY00. The milestone III production decision is currently planned for late 1QFY00. The BAT is an acoustic and infrared (IR) guided submunition that autonomously searches for, tracks and defeats armored and critical mobile targets. The BAT is a propulsionless, aerodynamically controlled vehicle (glider). The BAT is delivered to the target vicinity by the Army Tactical Missile System (Army TACMS), which is launched from the M270 Multiple Launch Rocket System (MLRS). As such, BAT is part of the MLRS Family of Munitions (MFOM). The submunition is designed to provide capability to attack deep, high-payoff and time critical targets. Prior to dispense, the BAT thermal battery is initiated, the flight software and mission parameters are downloaded, and the IMU is aligned. After dispense at subsonic and supersonic speeds, the BAT stabilizes itself, slows to acquisition speeds, and deploys its aerodynamic surfaces. The BAT acquires the target or target groups, glides to the immediate target area and selects an individual vehicle to be engaged, ensuring that not all BATs pick the same target. A top down, hit-to-kill terminal profile is prosecuted toward a selected vulnerable region of the targeted vehicle. On impact, the tandem conventional shaped-charge warhead is detonated, assuring an M, F, or K-kill and collectively (with the other dispensed BATs) securing delay, disruption or destruction of the targeted enemy unit. Deep attack interdiction, kill moving armored combat vehicles. In addition, P3I BAT's mission includes: cold stationary targets and surface-to-surface missile transporter erector launchers and heavy multiple rocket launchers. P3I BAT is a pre-planned product improvement to the BAT submunition. P3I BAT retains the basic physical characteristics of BAT while offering enhanced acquisition capability and an improved warhead. P3I BAT is designed to provide deep attack interdiction against an expanded target set to include armored combat vehicles (moving or stationary), stationary targets (hot or cold), surface-to-surface missile transporter erector launchers and multiple rocket launchers. P3I BAT will be delivered to the target area by both the Army TACMs Block II and Block IIA missiles. P3I BAT is an MSTAR candidate as the smart munition delivered by MLRS rockets. P3I BAT is designed to provide the Commander with a Deep Strike weapon capable of destroying, delaying and disrupting follow-on forces. P3I BAT offers the Commander greater flexibility during combat planning and operations. P3I BAT uses dual-mode sensors capable of acquiring and destroying moving or stationary and hot or cold targets. 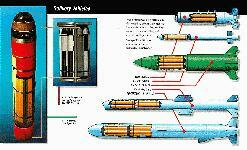 The submunition uses an improved, selective shaped charge warhead. The warhead more (hard vs soft target detonation) is determined prior to submunition impact. The sensors are more robust in adverse weather against countermeasures offering enhancements over the baseline BAT submunition. The principal test activities to date have been developmental events, including Design Verification Tests (DVTs) and Contractor Development Tests (CDTs). The DVTs were single submunition drops from a commercial fixed wing aircraft. The sequence of the DVT testing built up to increasingly representative submunition evaluations. The DVT sequence both tested the hardware configuration and contributed to the modeling and simulation data base that will be eventually accredited for use in the operational test and evaluation phase. The CDT series builds upon the DVT results and culminates in full system Engineering Design Tests of missile/submunition function. Because of the importance of all the developmental activity in the validation of the modeling and simulation to the overall program evaluation, DOT&E and Army operational test agency representatives observed key test events throughout both DVT and CDT. The evaluation of the Army TACMS Block II program also relies on a series of supporting test events and exercises to demonstrate and evaluate the end-to-end system performance. All phases of the Army's decide, detect, deliver concept of employment will be evaluated. Key evaluation events include the MLRS Family of Munitions (MFOM) Force Development Test and Evaluation (conducted in FY95), ongoing Joint STARS System testing, and data gathering activity at selected joint exercise and training events. The ATACMS Block II Test and Evaluation Master Plan outlines an operational evaluation strategy and supporting resources. The TEMP was approved by DOT&E in July 1995 and the testing is being conducted in accordance with the approved strategy. DOT&E assessment of the developmental flight testing to date is cautionary. The most production representative tests have been the CDT series. Of the fourteen CDT flight events, six were successful, three were failures, one was a no-test, and the remainder have not yet been through a scoring conference. The current point estimate of operating reliability of the submunition is .67 (LRIP exit criterion is .68, final ORD requirement is .86). CDT-1 (no test)-- IR dome fogging and deployment system malfunction. Engineering development of a dome heater. Resequence tail and fin deployment. CDT-4--Deployment system malfunction. Redesign the deployment system restraining band system. 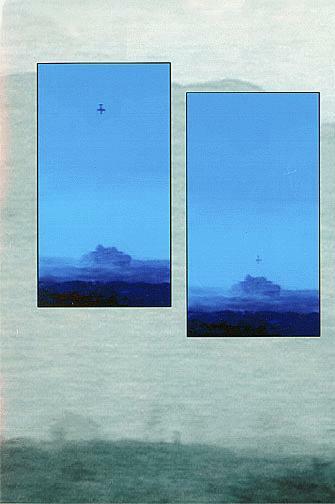 CDT-6 (dual drop)--Two failures induced by contaminated cooling gas and seeker cooling design. Redesign of the gas flow venturi and enhanced quality control requirements on gas supply bottles. CDT-8.1-- Premature detonation of warhead. Fault tree analysis underway. CDT-9 --Submunition failed to acquire a target. CDT-10 --Submunition failed to acquire a target. CDT-10B --Parachute squib wires crossed. CDT-11 --Submunition failed to acquire a target. The Live Fire Test and Evaluation (LFT&E) strategy was developed to take advantage of expected hits on target vehicles in the drop tests of submunitions with live warheads. In the past eighteen months, there have been only three live warhead drops, and only one of these hit a target. Each test event, regardless of success or failure, has contributed to the overall modeling and simulation validation and accreditation schema. The program office has been aggressive in implementing a strategy of early involvement of operational testers in order to insure that the developmental test data is available to the DOT&E and Army operational evaluators for both independent simulation and early assessments.